Categories: Bags, Tote Bags, WOMEN. 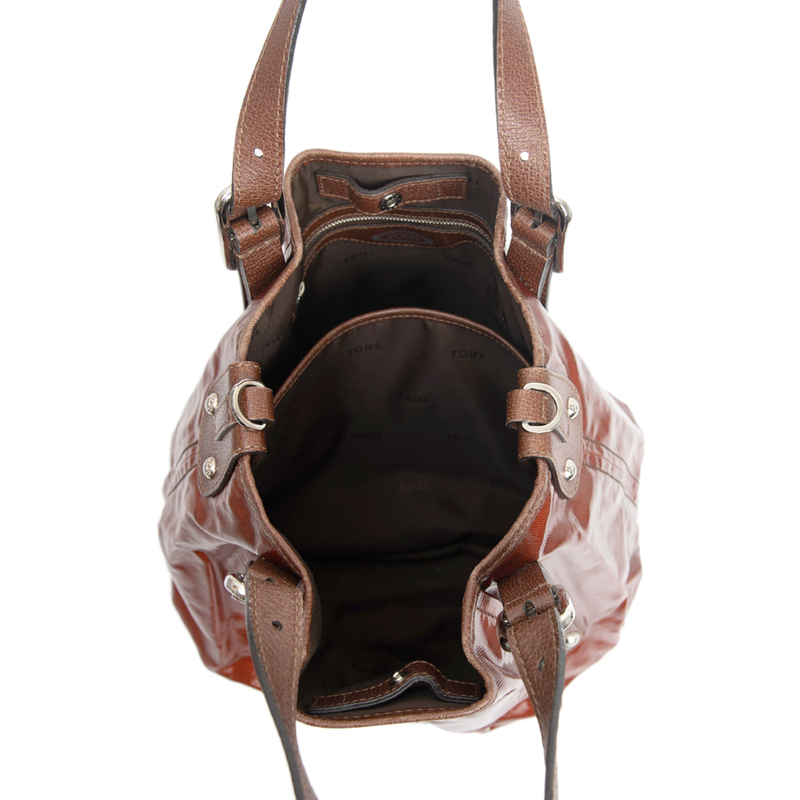 This gorgeous Tod’s Coated Canvas G-Bag Sacca Grande Tote Bag features durable coated canvas with adjustable leather handles. 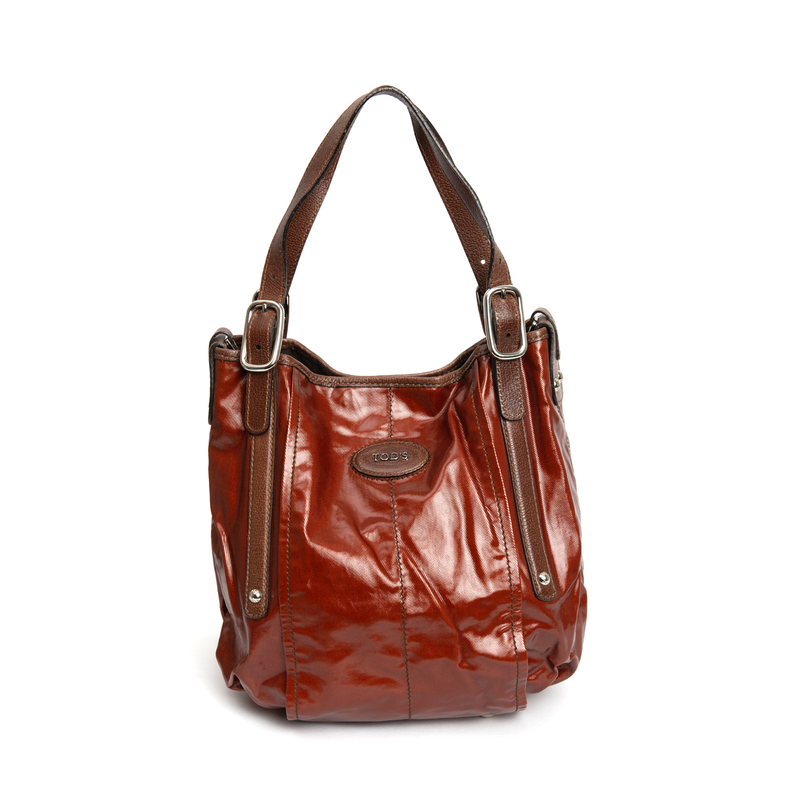 This beauty has a roomy interior and will hold all your daily essentials in style. 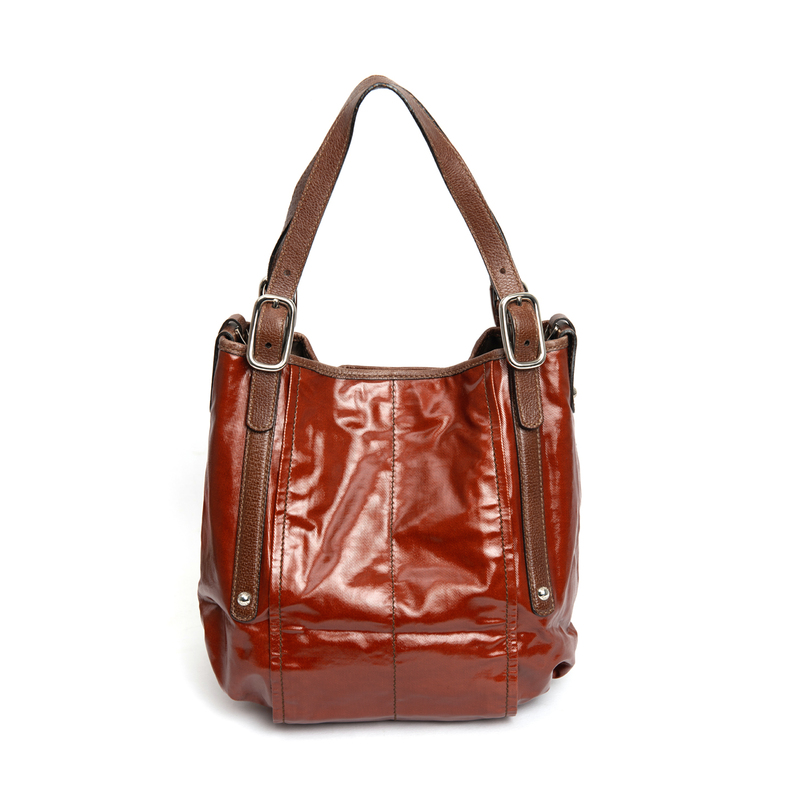 Double flat adjustable leather handles. The shoulder strap is MISSING. 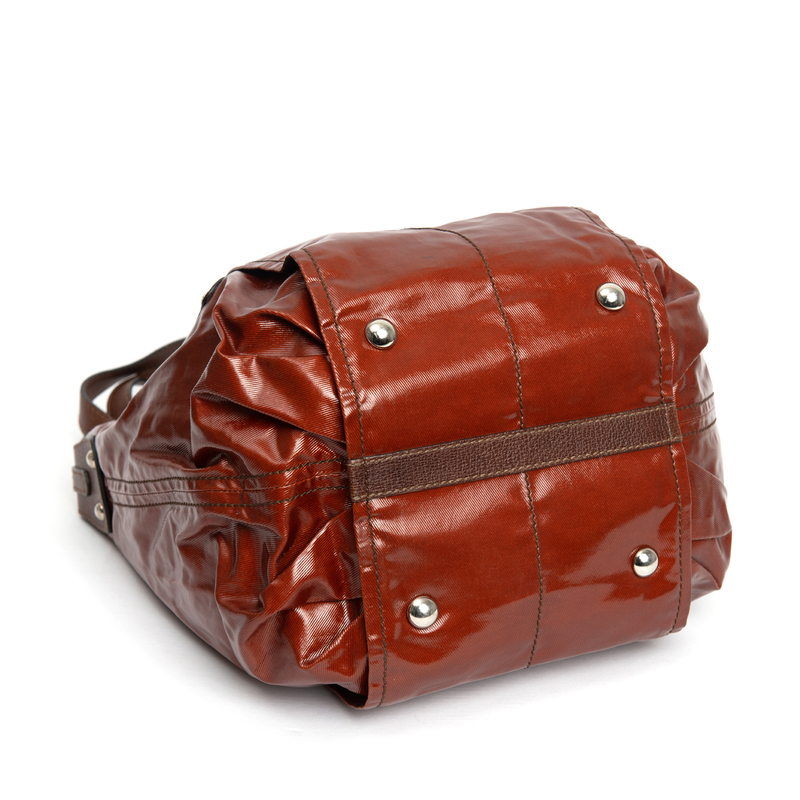 Exterior: The leather trims/handles show signs of wear throughout with fading along the top edge and creasing throughout. The glazing along the edges of the handles are cracked and the bottom of the tips of the handles are curled. Interior: The fabric lined interior is clean. Hardware: The hardware has minor surface scratches but is still bright. 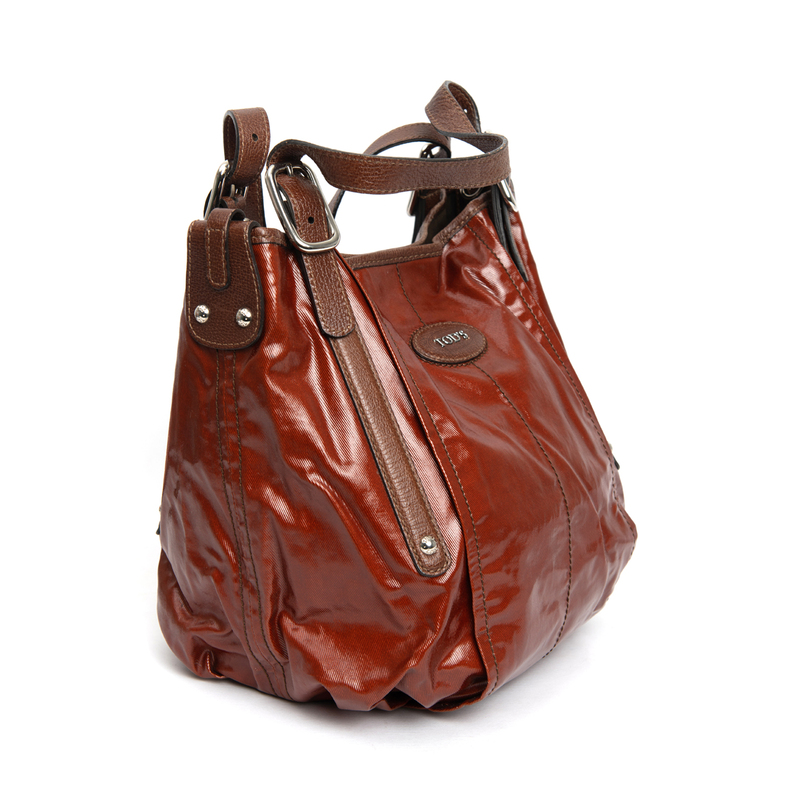 LabelCentric is not affiliated with Tods. 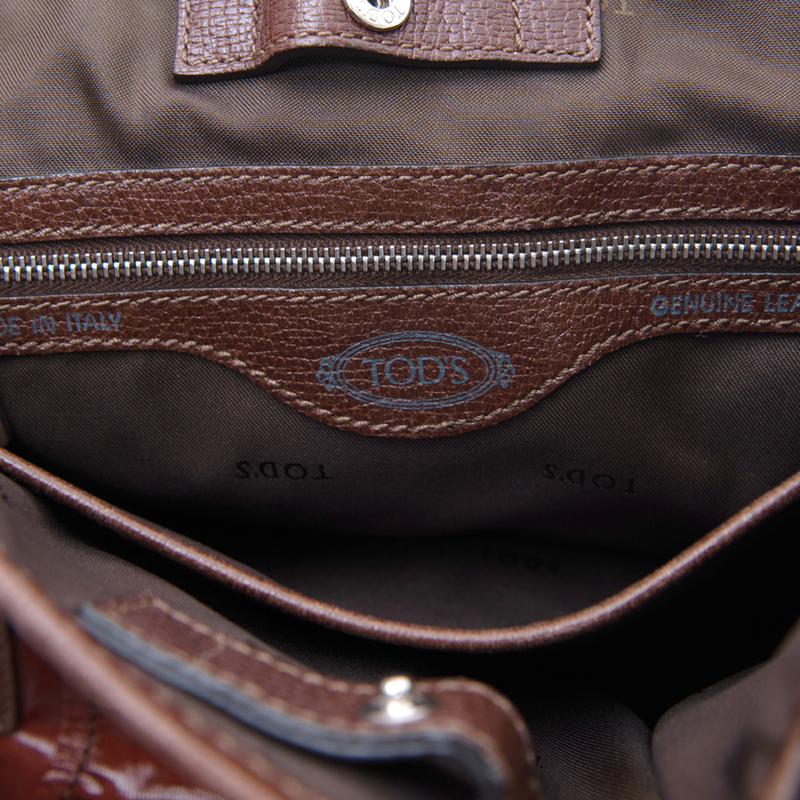 We guarantee this Tods item to be authentic ( find out how ). 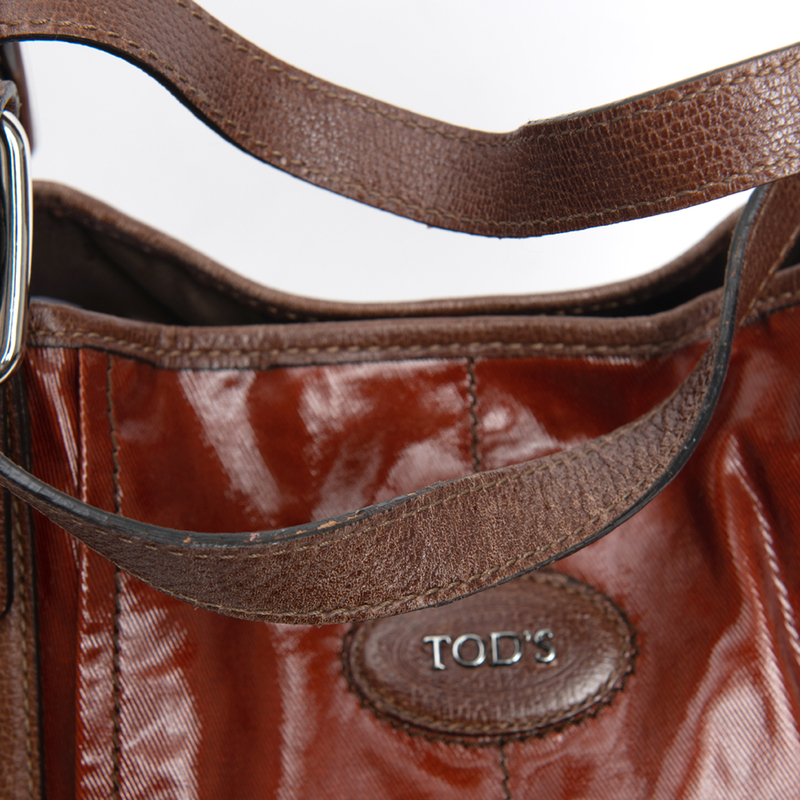 Tods® is a registered trademark of Tods.